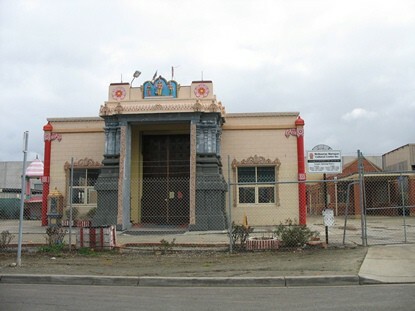 One will find this Murugan temple situated at one of the most unlikely places, sandwiched between two small scale industries in the sunshine industrial estate. People visit temples for the tranquillity and the ambience it offers which helps to feel the sacredness of the omnipresent. Once you get past the temple gates, the ruthless industrial environment is history and the soothing presence of Lord Muruga will overtake you. 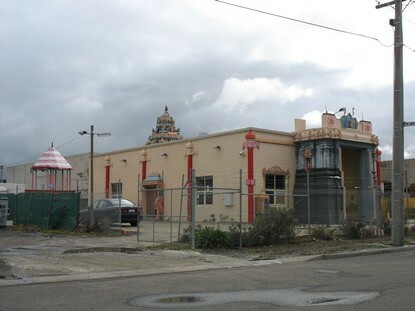 Melbourne Murugan temple is managed by Melbourne Murugan Cultural Centre Inc. 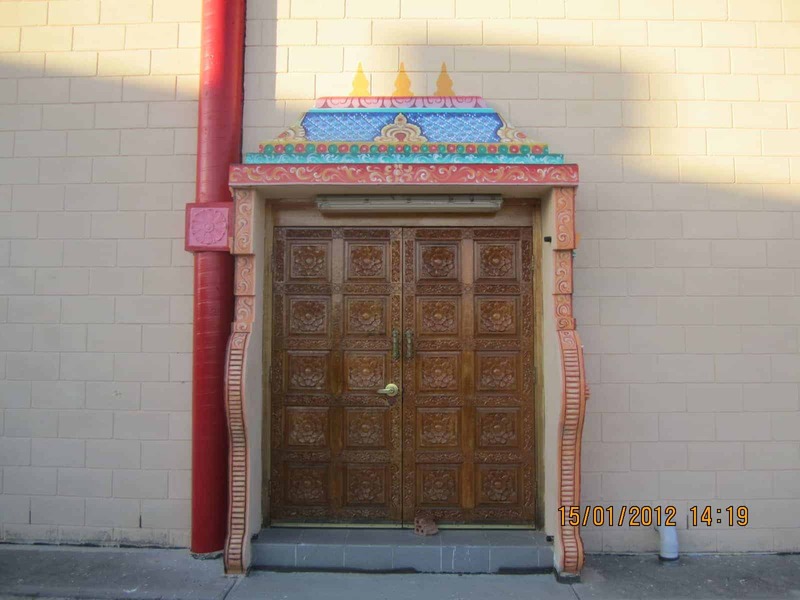 This temple is in operation from 1999 in a temporary facility. The foundation was laid on 2002 and the temple construction was completed in 2006. The temple was consecrated on 28th January 2007. 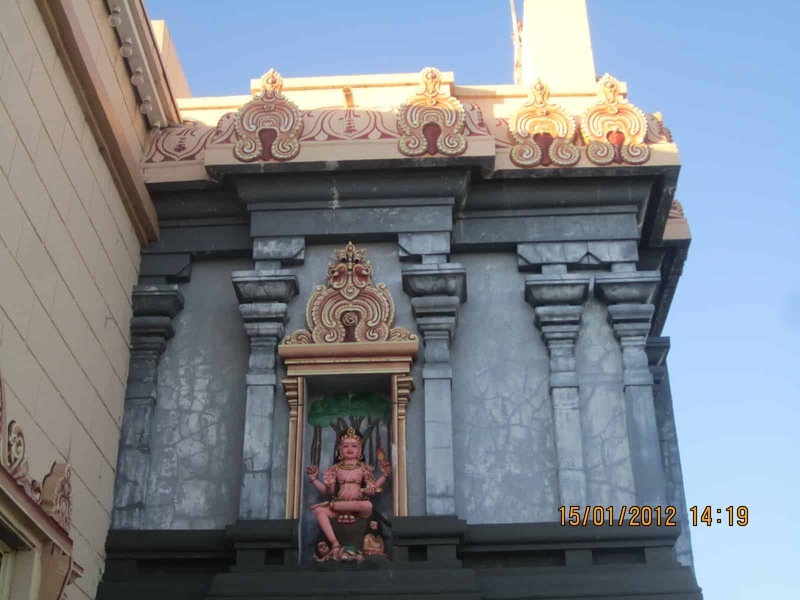 Murugan temple has three shrines, with the main shrine for Murugan, Valli and Devasena , the other two for Vinayagar ( Ganapathy ) and Shiva and Parvathi. 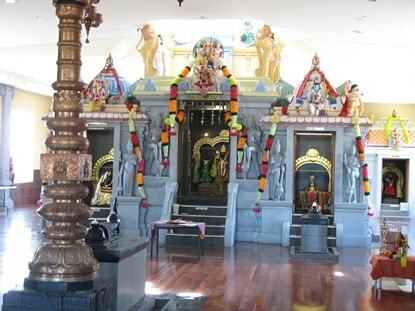 There are two vasantha mandapams, One for Murugan and the other for Murugan as Shanmugar.There are various parivara moorthies including Thakshanamurthy, Visnu, & Thurga The temple also have a place for navagrahas and a shrine for Hanuman in the front of the Temple. Please contact Treasurer Mr. T.S Raguraj Phone (03)9318 5918 for further details.